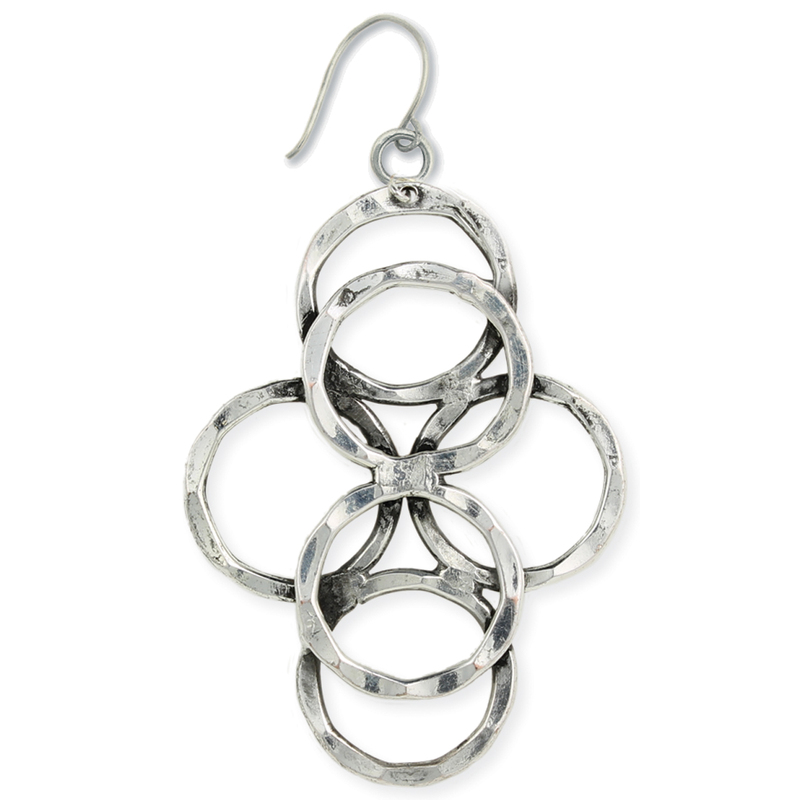 Antiqued silver earring with layers of hammered circles. Measurements (approx.) 2 3/4" x 1 3/4"